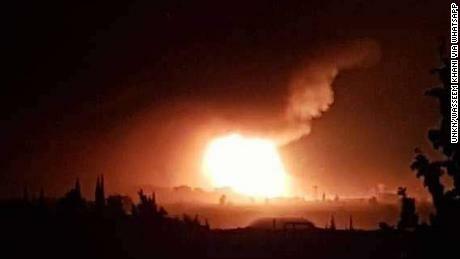 The private, pro-regime news agency al-Mayadeen originally reported that Israeli air strikes hit the air base near Damascus with several missiles. The Syrian state media later relied on an unnamed military source that denied that the base was hit by Israel. 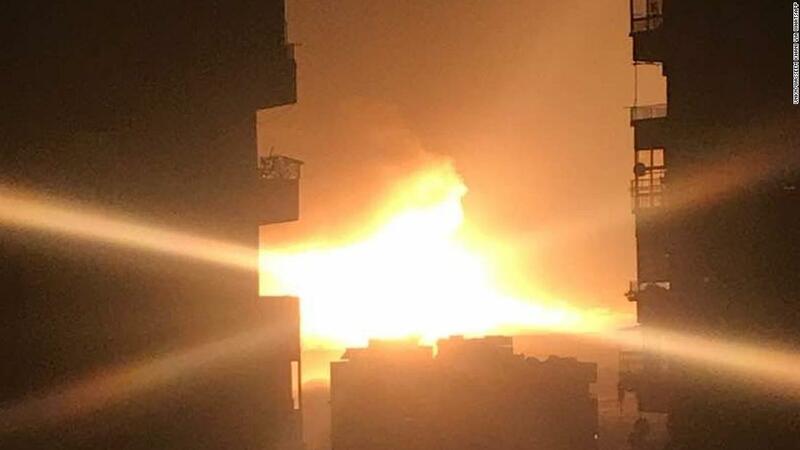 The Syrian Arab News Agency (SANA) and the Syrian state television reported a "military source exposing any Israeli aggression to Mazzeh airport and the sounds of explosions that were heard resulted from the explosion of an ammunition depot near the Airport due to electrical failure. " 96592002] "I suspect it was from an air raid because of the explosions and ambulance with firefighters who were on site," the resident said. A few excerpts of the explosions and the episodes – apparently filmed by long-distance calls – appeared in various forums, including Facebook and WhatsApp. Video showed bright flashes of light in the night sky in a kind of explosion, but not exactly what caused the explosions. Syrian state media have extensively reported on Israeli and other air strikes on regime taxes, outposts or other Syrian targets in the past. According to opposition activists, there are embassies, security buildings and the homes of some members of the inner circle of Syrian President Bashar al-Assad in the Mazzeh area. CNNs Jonny Hallam and Alex Marquardt have contributed to this report.